Discussion What's Happening In Your Town? October 3, 2007 edited October 3, 2007 in Location, Location, Location! In these forums we will try to assemble the greatest collection of regional photographs designed to entice travelers to visit and/or learn more about the many interesting places dGrinners live around the globe. As you move into the appropriate sub-forums we ask that you post a picture of an interesting location from the place where you live. 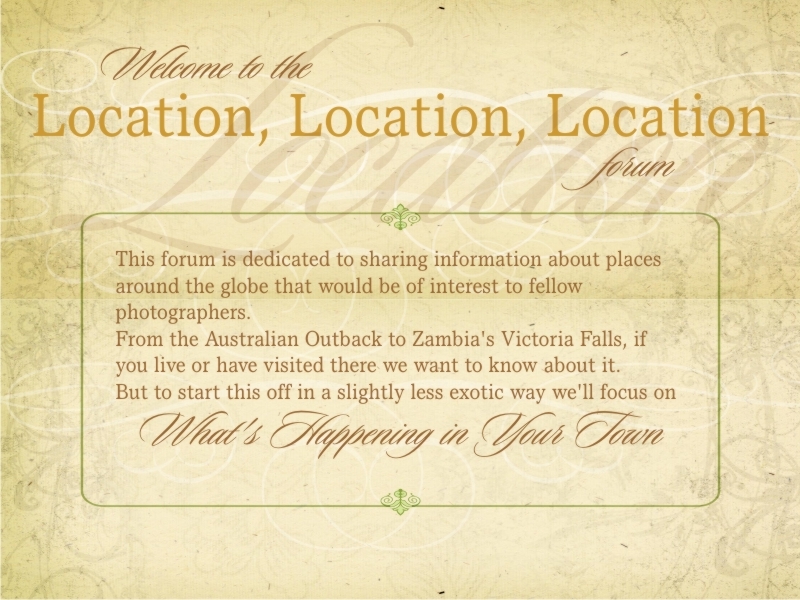 Keep in mind these forums are not for your travel pictures. Those fabulous travelogues should go in our JOURNEYS forum. If you are uncertain of what to post here's a suggestion: Choose a commercial center of your village, town or city. Be it a financial district, "downtown" area or other type of market center. We will finesse these forums as we go depending on the level of posts and participation. But most importantly let's have fun doing this!